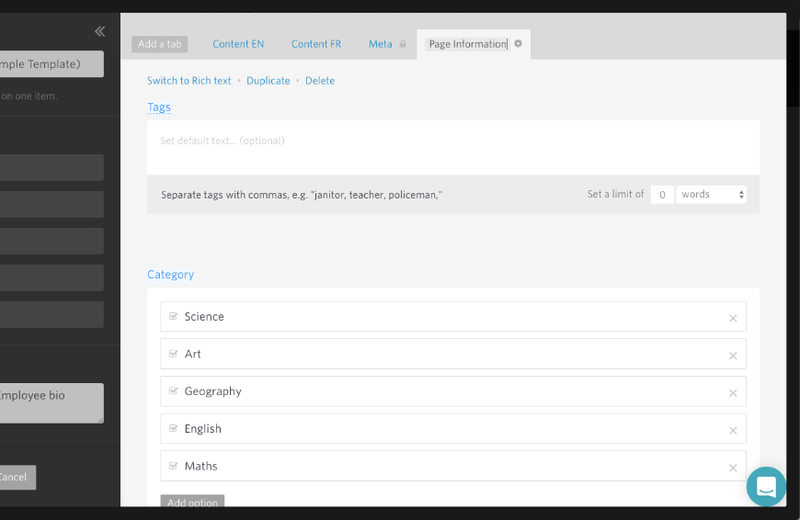 You can use tabs to display different pieces of related content side by side, for example if you have content in multiple languages, or SEO. You can use tabs to display different pieces of related content side by side, for example if you have content in multiple languages, or SEO content for a webpage or blog post. 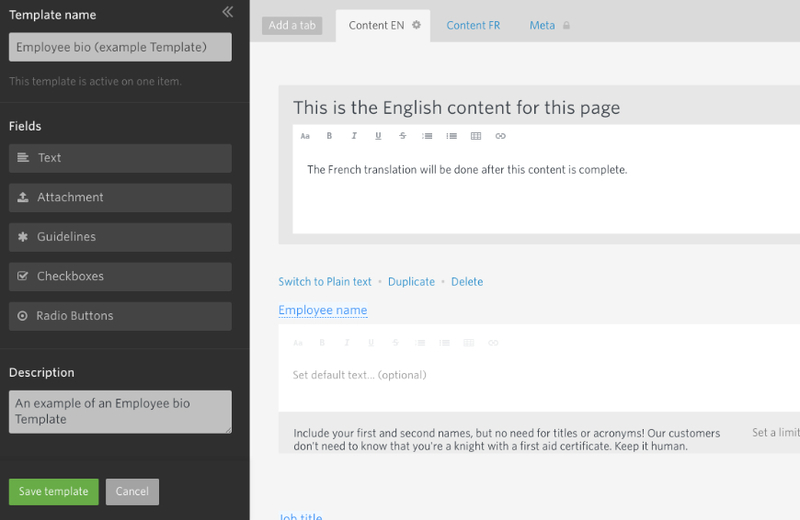 You can edit a template from the template tab by selecting the template you want to edit, or from in an Item by clicking the link in the top right to either "Edit Item Structure" or "Manage Template". 2. 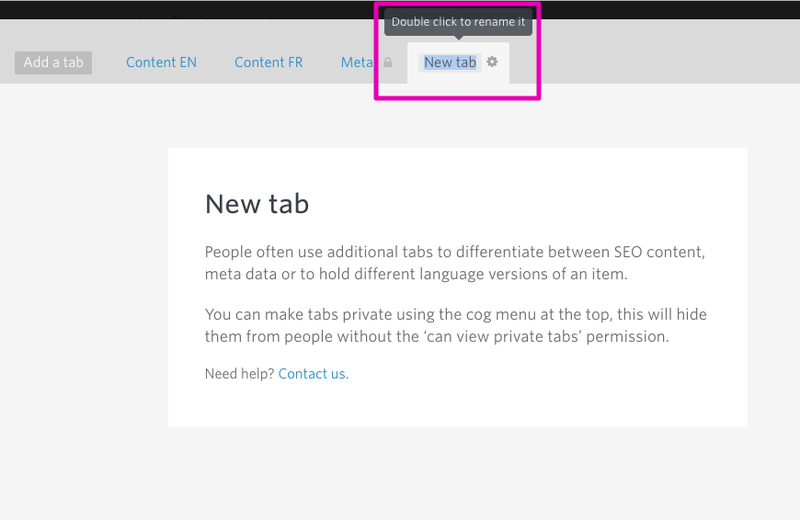 Click "Add a tab"
You can duplicate and delete a tab by clicking on the cog to the right of the tab name. 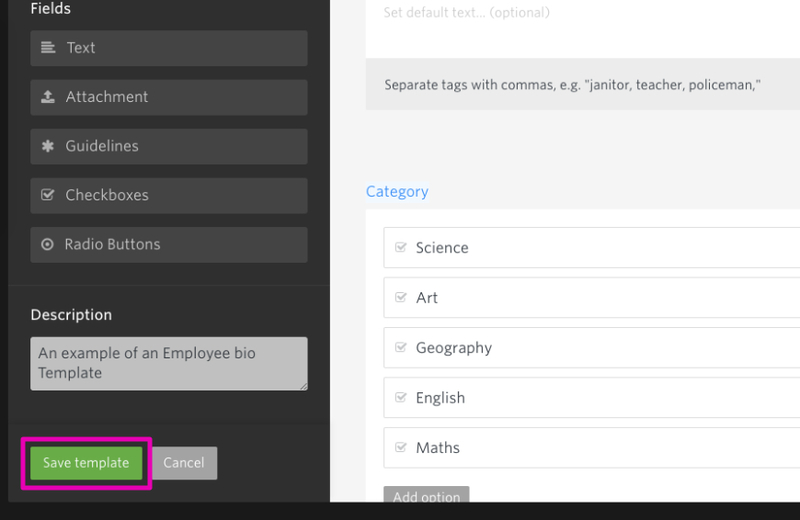 See more on tab actions such as duplicating, deleting and making tabs private here.